Batuan’s number one most wanted person who has been charged with murder and highway robbery was arrested by police operatives in Barangay Buenos Aires, Carmen on Saturday. PO3 Daryl Yecyec of the Batuan Police Station identified the fugitive as Gepi Pajal who was arrested by joint operatives of the Batuan police and Provincial Mobile Force Company-Special Weapons and Tactics (PMFC-SWAT) unit. According to Yecyec, Pajal was caught inside a small hut owned by the suspect’s relative in a hilly area in Buenos Aires. Pajal was armed with an improvised shotgun during the police operation but did not resist arrest. Yecyec said that Pajal has been tagged as one of five suspects behind the fatal shooting of Primo Batoon, a barangay tanod in the village of Cabacnitan, Batuan in November, 2017. Based on investigation, Batoon and Pajal had a personal conflict which resulted in the former’s murder. 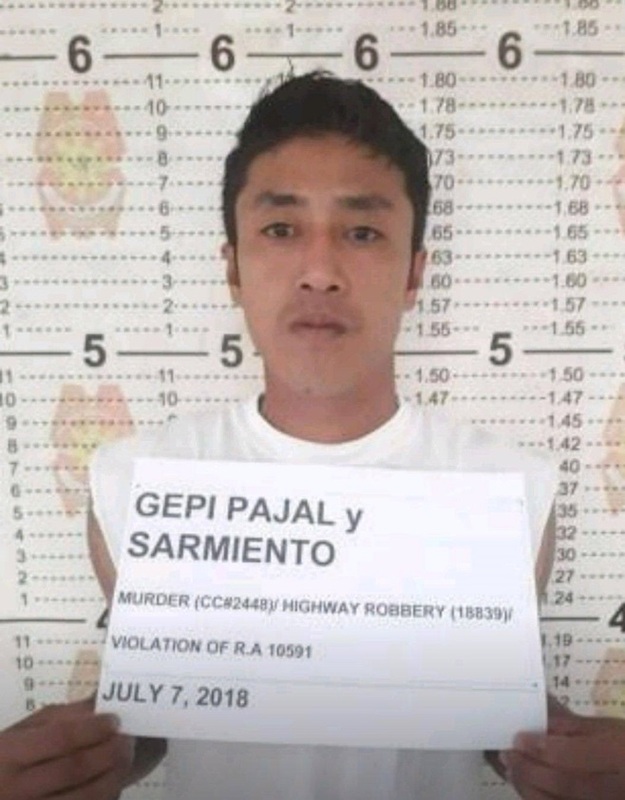 According to Yecyec, Pajal has also been identified as the leader of a three-man group which carried out a highway robbery in Loon in 2015.